Halton District School Board - Everybunny Dream! It's time for bed! Bunnies and foxes cozy up after a busy day in this fun, colorful picture book that is perfect for bedtime from the author of Everybunny Count! and Everybunny Dance! It's time for the bunnies to brush their teeth, clean their paws, and comb their tail. And before they fall asleep, they'll have time to curl up for one last hug, and one last story shared with some unexpected friends. 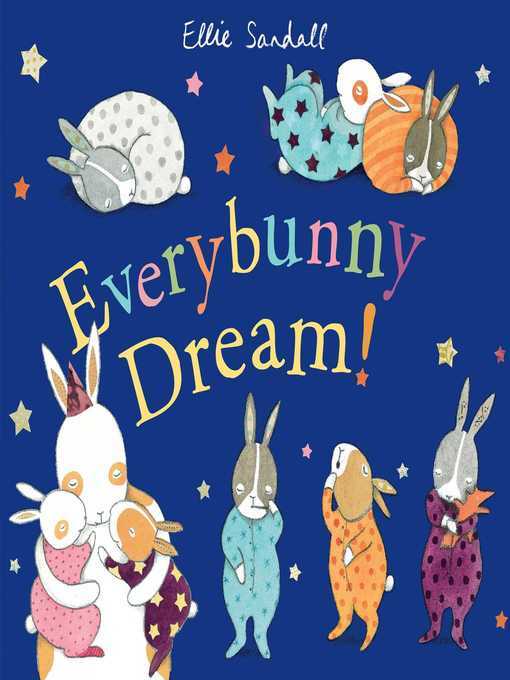 Everybunny is welcome to join in this bright and cheery bedtime tale before dozing off into sweet dreams. Ellie Sandall loved creating pictures from a very young age and has a passion for children's books. (She's always running out of space for her expanding collection!) After spending much of her time at school doodling covertly on the last pages of her exercise books, she went off to do a degree in graphic design at Bath Spa University, followed by a Master's degree in children's book illustration at Cambridge School of Art. Copyright 1 School Library Journal, LLC Used with permission.